Daily activities often make people have no enough time for them. With so many things to do, our body is forced to keep up with many kinds of activities. As a result, it is common that some people are having stressful mind or feeling depressed. If you feel it too and want to have an escape from it, you can let your mind refreshed by visiting retreats. Each country offers different program of retreats. However, commonly they have the same aim; which is to make people have healthier life and mind. This article gives you some recommended retreats to visit. If you are looking for a nice place to clear and refresh your mind, below are some recommended retreats for depression and anxiety. In India, you can find the infamous Vana Malsi Estate. It is a perfect place to have your health and wellbeing improved. This program is designed to suit individual needs. You can follow the consultation with one of the resident doctor and start your healing process quickly. Some activities included in the program are meditation, yoga, and prescribed treatments (which use Ayurvedic, Chinese, as well as Tibetan medicine. Chiva Som is a lavish five star wellness resort in Thailand. It is a perfect place if you are looking for a program, which focus on wellness, this one is a good option. This clinic offers tension release program, whose aim is to help people in escaping tension (which usually caused by routines) and discovering inner peace. You can start by having a consultation (to indicate the cause of your tension), then, the expert will uncover the ways to resolve it. Besides that, this program also provides nutritional consultation. Therefore, you will be able to learn how to manage your diet, which may affect your health. For other retreats for depression and anxiety in Thailand, you can also enjoy this offer from Kamalaya. This relax and renew program is made specially to make people able to relax while renewing their energy. This program provides holistic treatment as well as alternative medicine. Arrange of activities are also offered to help any people have clearer mind. In Spain, you can head to SHA Wellness clinic. It offers amazing experience, whose aim is to help people have a better quality of life. This clinic provides general medical examination, which is followed by consultations from expert. You can have personalized plan then focus on your diet and exercise. The environment here is also designed specially to help people concentrate on making their mind better and keep healthy habits. If you want to rejuvenate your physical and mental state in Portugal, you can enjoy this special program. What special from it is the medical spa retreat, which ensure you t have comprehensive health assessment. For more, you can also have a biophysical evaluation as well as general medical consultation. This program will let you to focus only at the present moment. With the help of mindfulness therapy as well as mind-body technique, you will be able to handle the hectic lifestyle. You can also enjoy the experience of best cutting edge preventative medicines (such as micro physiotherapy and osteopathy) as a support for having healthier lifestyle. Ayurveda Resort Sonnhof is located in the heart of Austrian Alps. It is a perfect retreat for you who are looking for a peaceful mind. The program will allow you to have message, scrubs, and meditation activities. 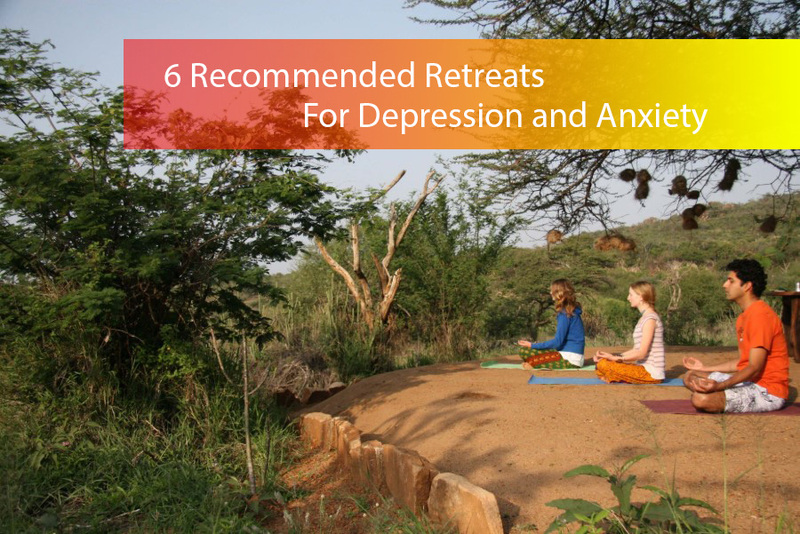 This is the last from our recommended retreats for depression and anxiety.